NASA leader Raila Odinga will not relent in his push for Constitutional review even following opposition from both President Uhuru Kenyatta and his deputy, William Ruto. 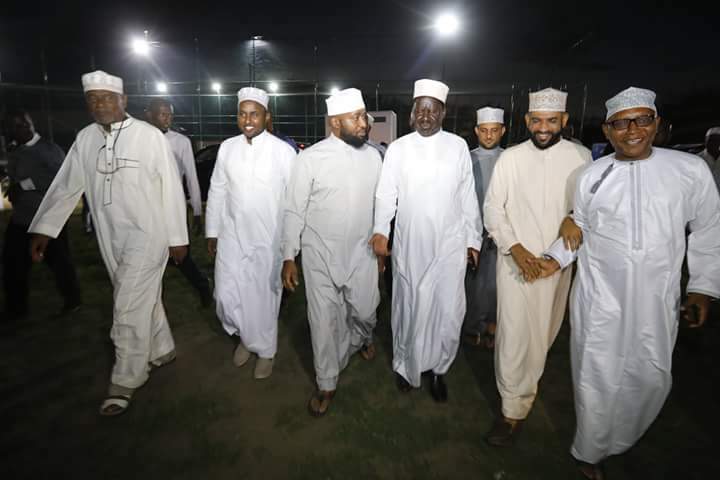 Speaking on Friday during an Iftar (Ramadhan dinner) organised by Mombasa Governor Hassan Joho at Serani grounds in Mombasa, the former Prime Minister said that he is awaiting advise from the Building Bridges team, formulated after the March handshake. “You saw the team was gazetted and has started working. It is the committee which will bring forward recommendations that we will implement. If the team says we need to amend the Constitution, we will do so and no one will stop us,” Odinga said. 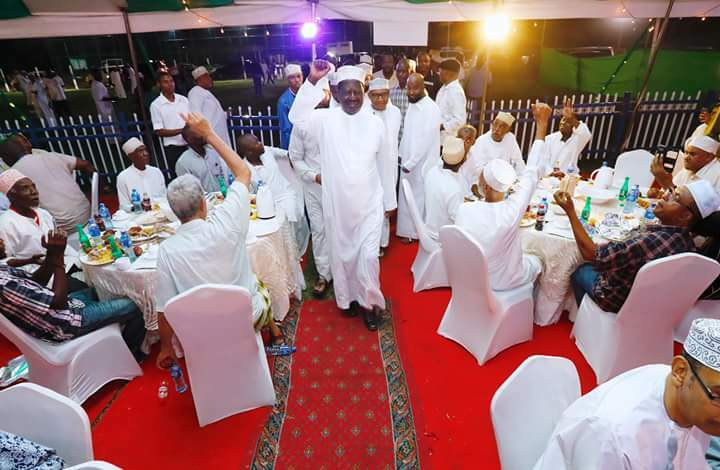 But the President while presiding over the Madaraka day celebrations maintained that a change of the Constitution would not deliver the Kenyan dream. The ODM party leader on his part says that the law review will help build an all inclusive Kenya and help the people’s lives. “A Kenya that will allow anyone to contest for the top seat and be elected. We want a situation where even a person from El Molo can get an equal chance of contesting for the seat and be elected,” he said. The handshake, he said, focuses on the future and not just 2022 and will make sure citizens are actively involved in the betterment of the country. “We will tell Kenyans openly that which we want to put forward for the betterment of this country and that is when we will involve you and help us in ensuring that we take this country where our fathers wanted it to be,” he said. He also echoed President Kenyatta’s sentiments with regards to corruption saying that the fight against graft was part of the handshake. Kenyatta assured Kenyans that more government officials implicated in corruption cases will be arrested. He also said that all state procurement officers will undergo fresh vetting and polygraph tests and those who ‘fail’ will stand suspended. This comes after a number of high ranking state officers were arrested and remain remanded over the loss of Sh.9 billion NYS monies.